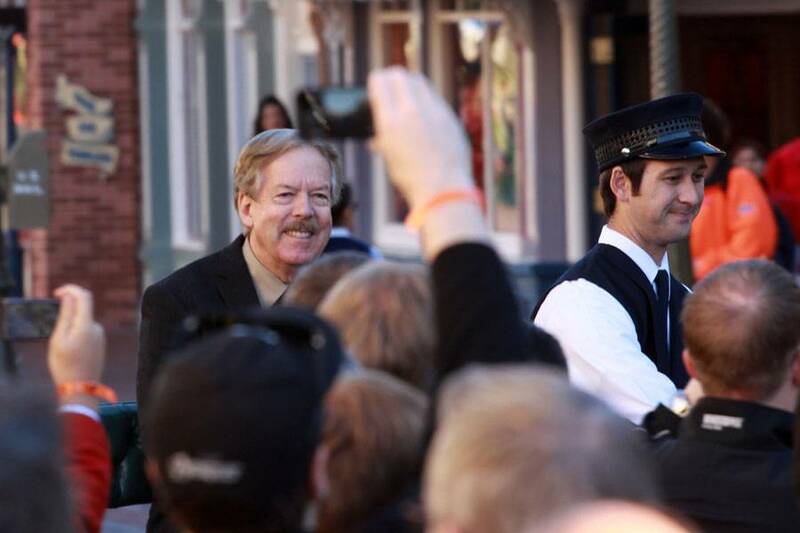 Walt Disney Imagineering’s Tony Baxter has had quite a year, having been honored as a Disney Legend during the D23 Expo. 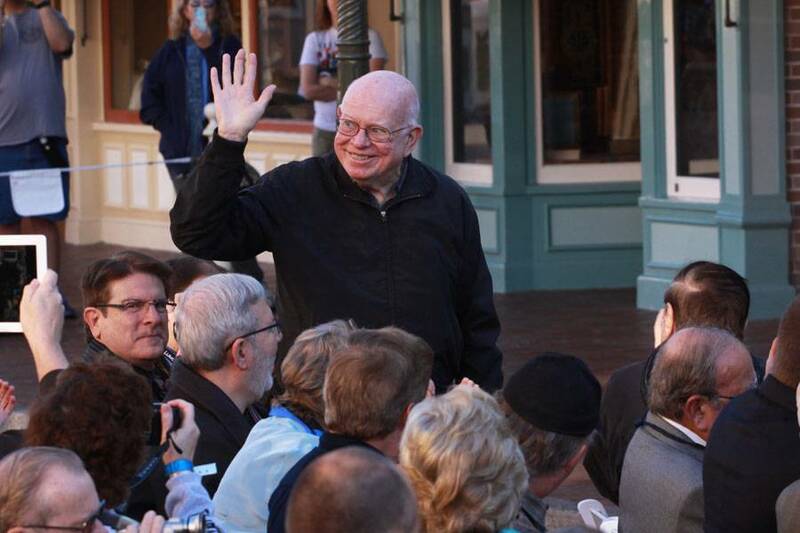 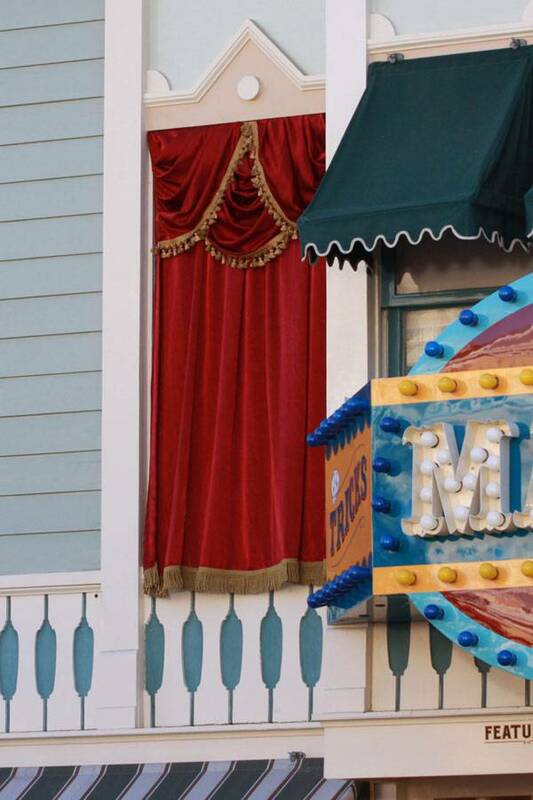 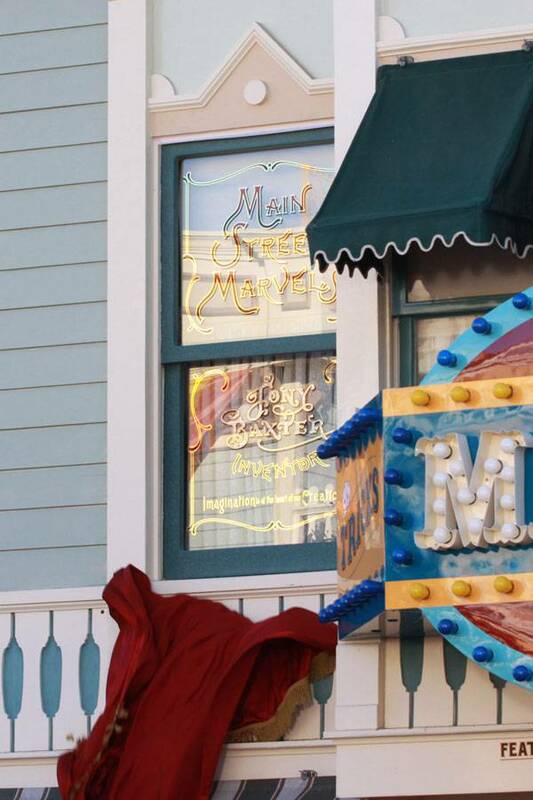 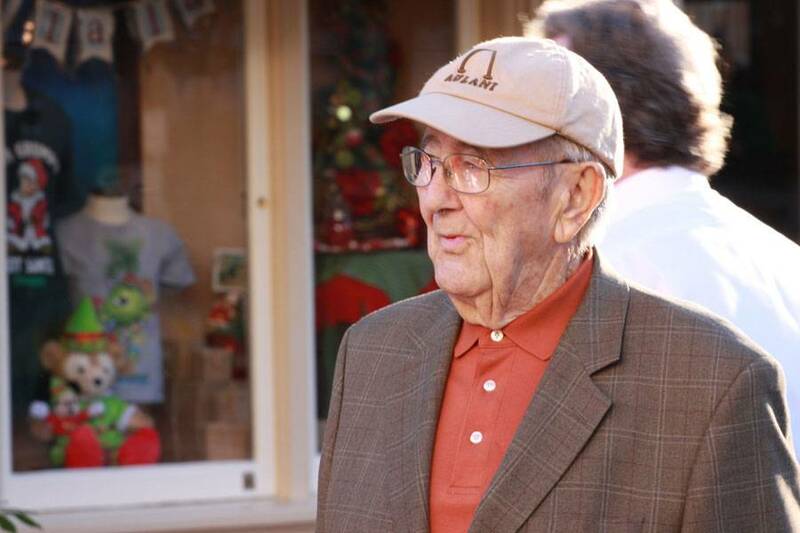 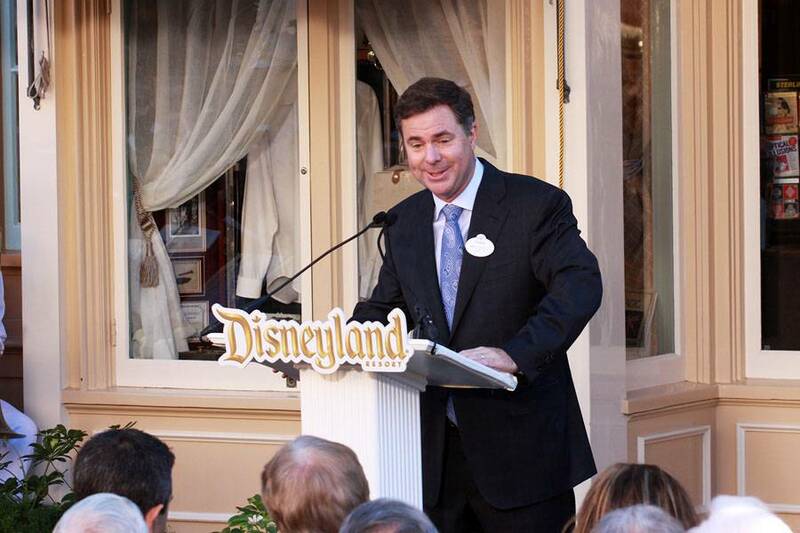 But this past Friday morning at Disneyland, USA, he was bestowed an even grander honor (from a certain point of view): a window on Main Street. 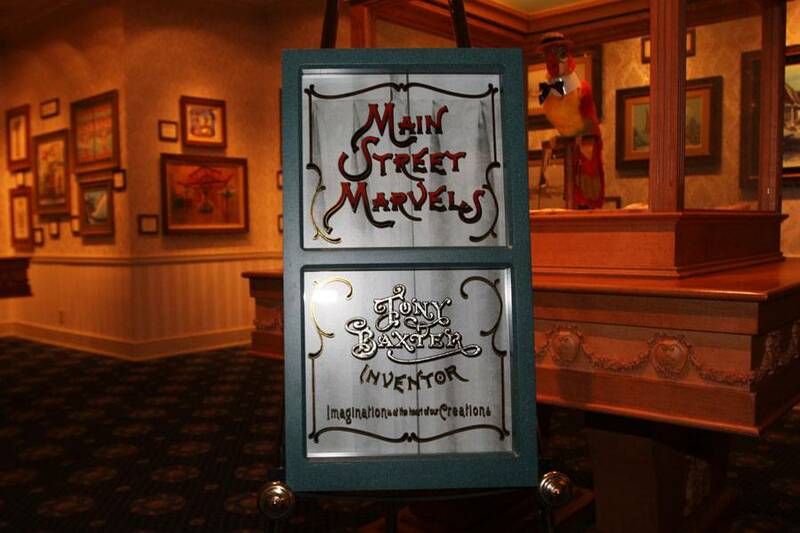 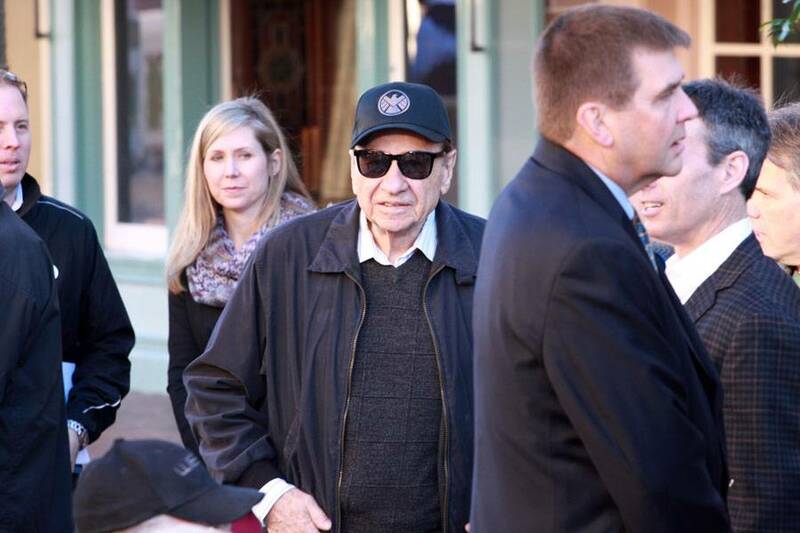 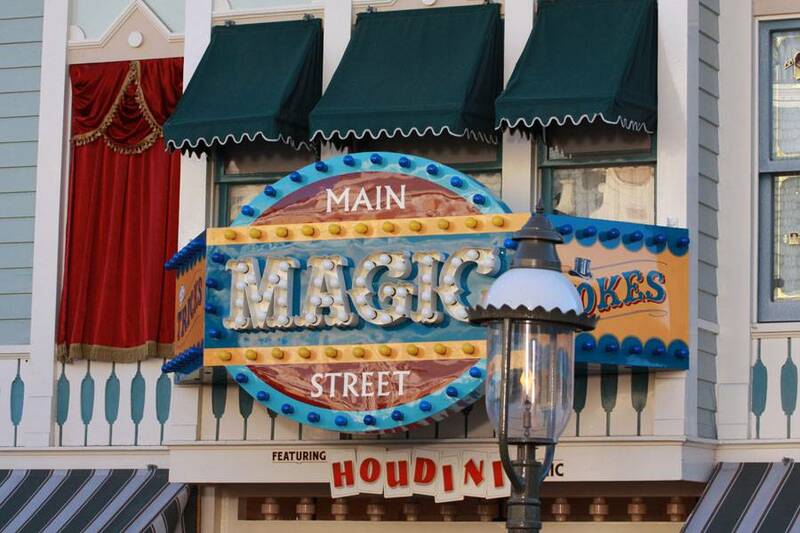 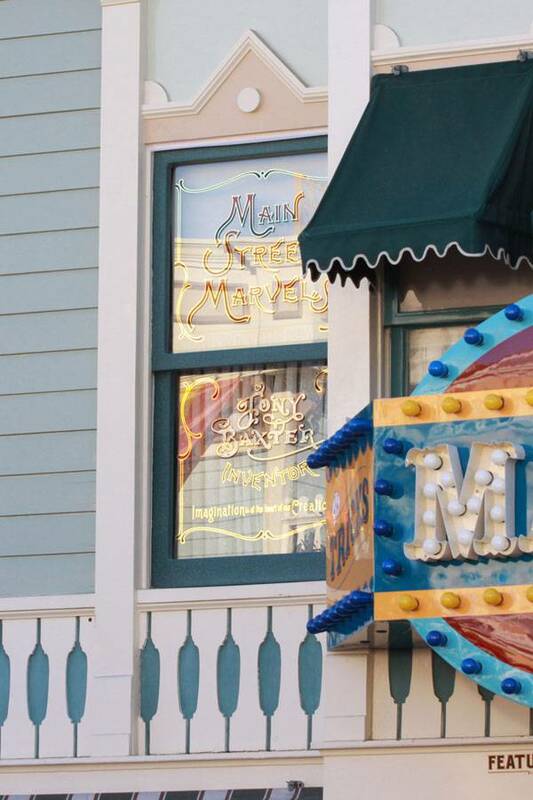 Getting a window on Main Street is a tradition that began with Walt Disney at Disneyland Park and was continued by his brother Roy for Walt Disney World. 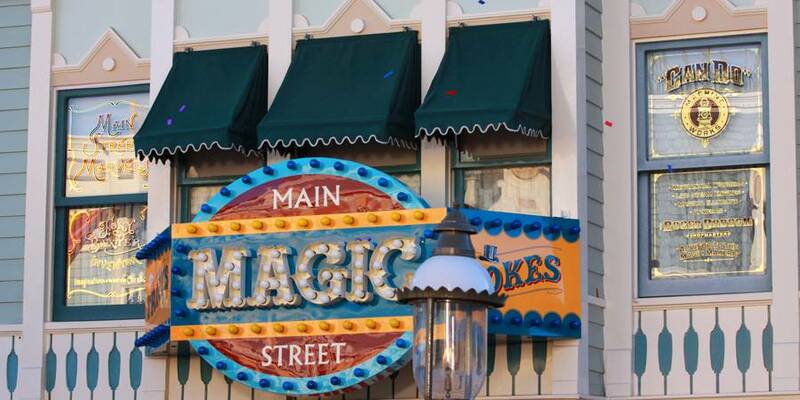 The very same traditions would continue onto the rest of the Disney Parks. 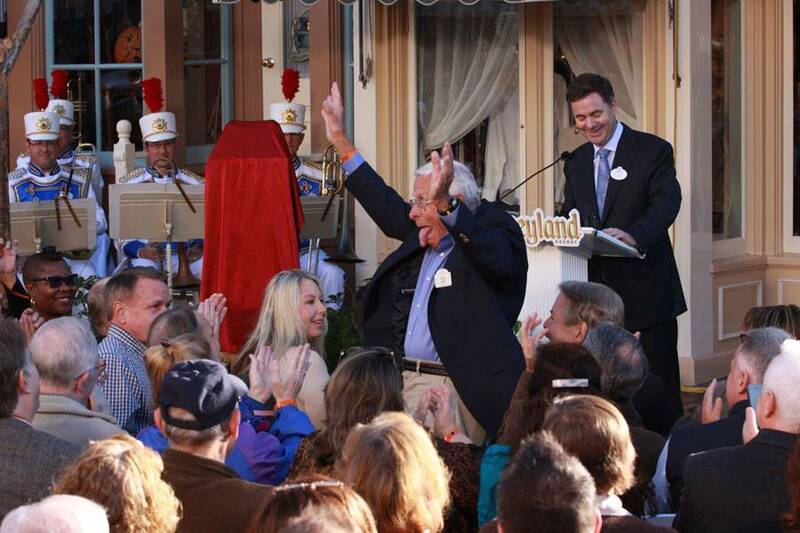 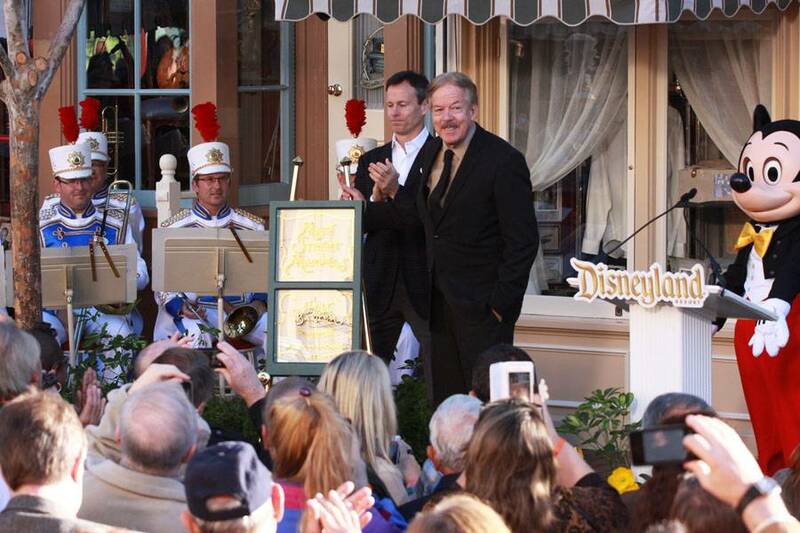 Now, as ecstatic as Baxter is at receiving this honor at the original Disney Park where he began scooping Ice Cream on Main Street, this isn’t his first rodeo! 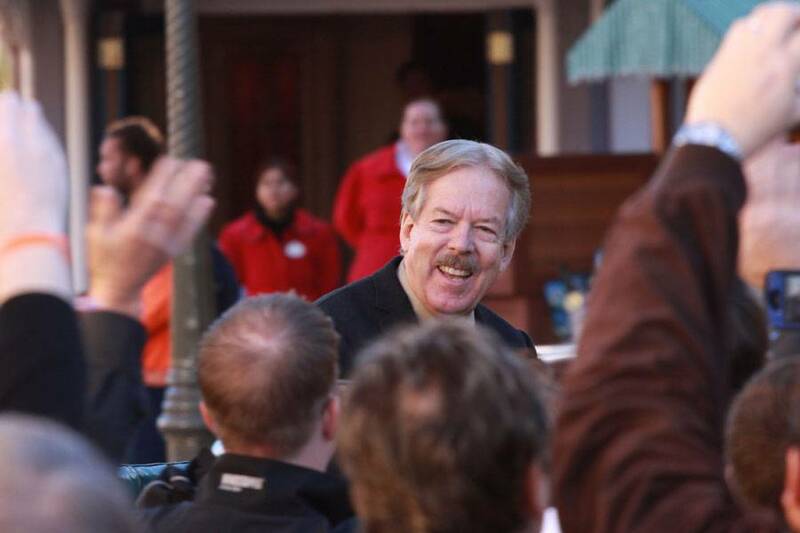 Tony Baxter already has a window over at Walt Disney World under the fictitious group, The Camelot Corp, Road Show Installations. 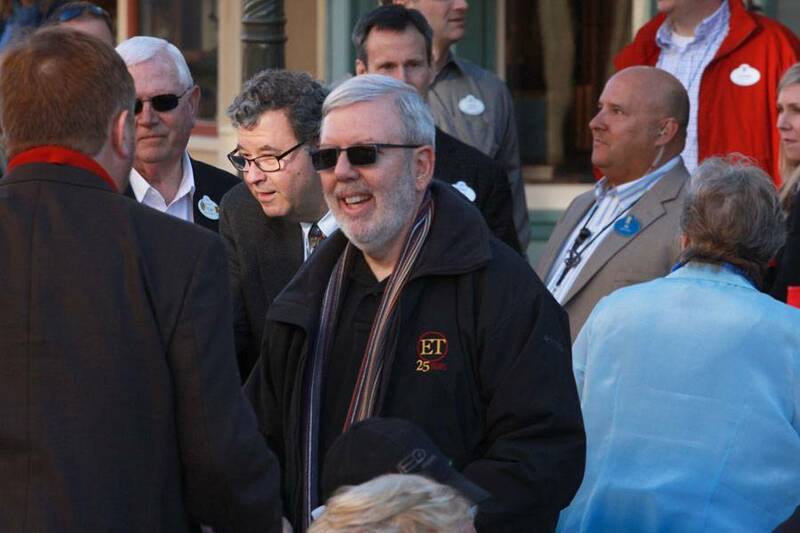 He is honored there alongside Dave Burkhart, Ed Johnson, and Gary Younger. 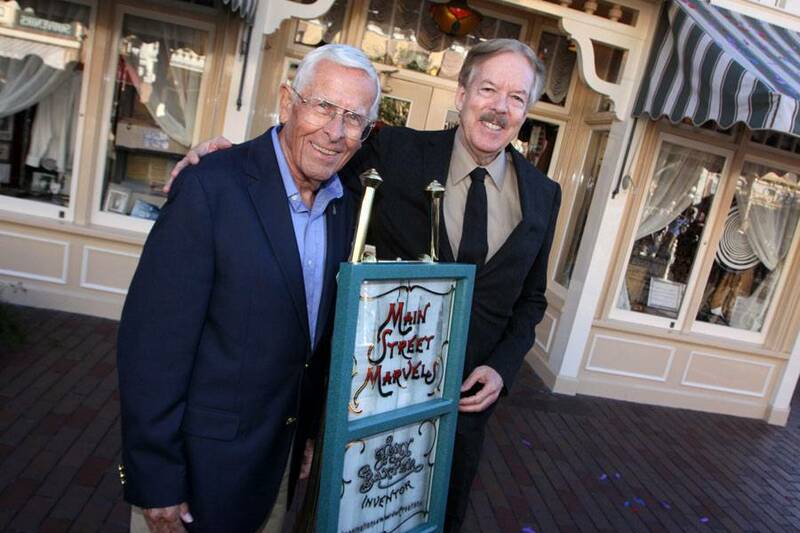 To be added to a window today, there are three requirements according to Disney Legend, Marty Sklar: 1) Only on retirement. 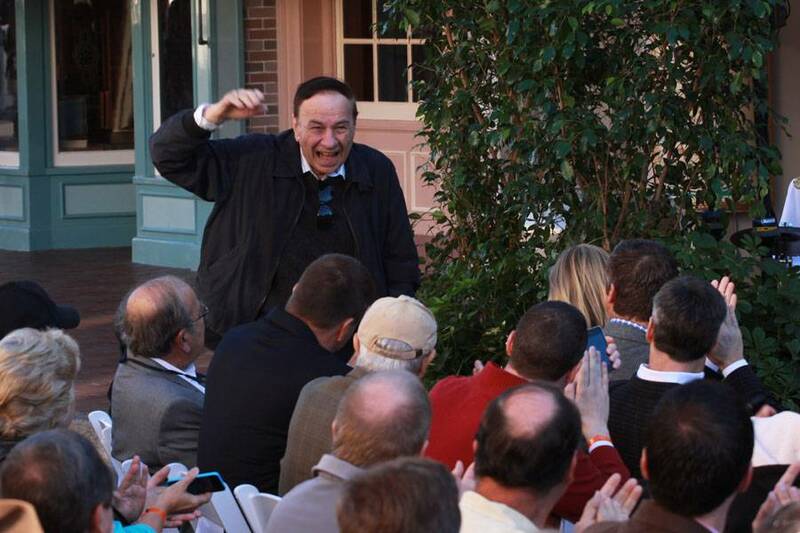 2) Only the highest level of service/respect/achievement. 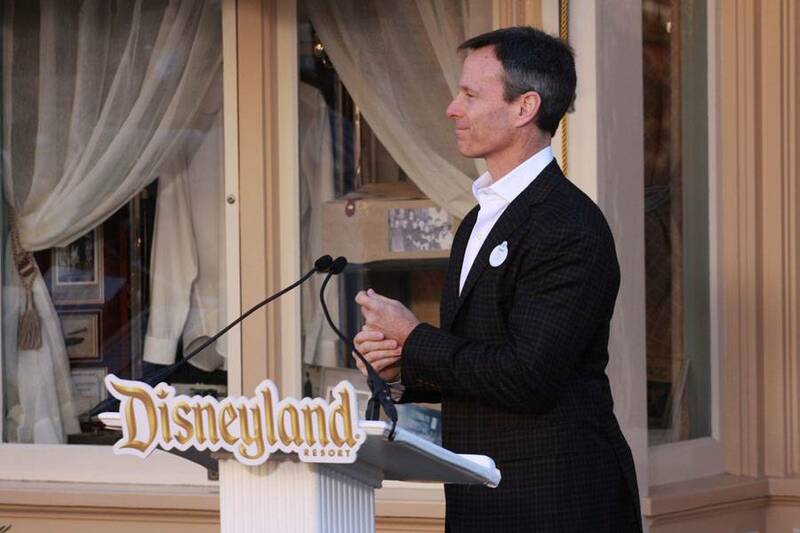 3) Agreement between top individual park management and Walt Disney Imagineering, which creates the design and copy concepts. 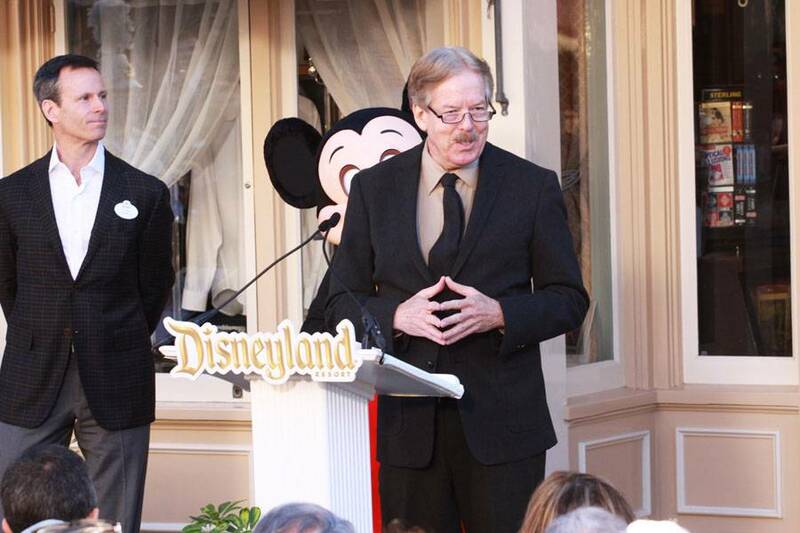 Tony Baxter has obviously hit all three of these requirements and then some. 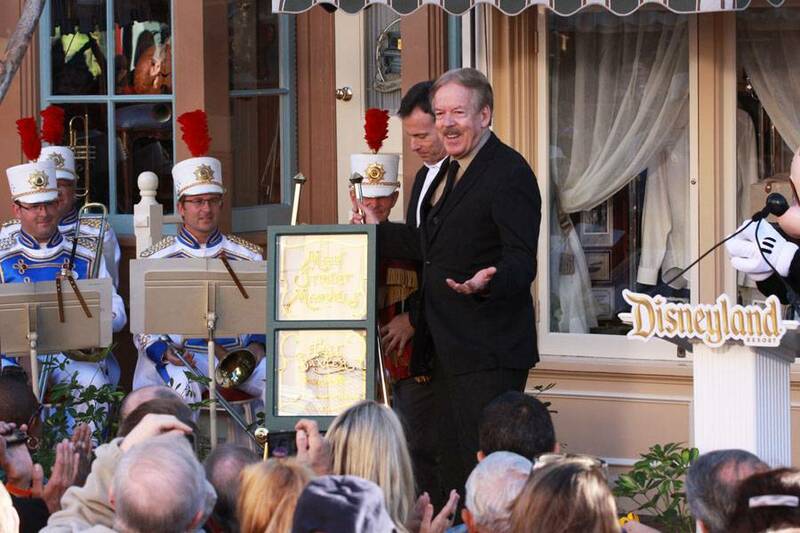 The weather on Friday, November 1st could not have been better. 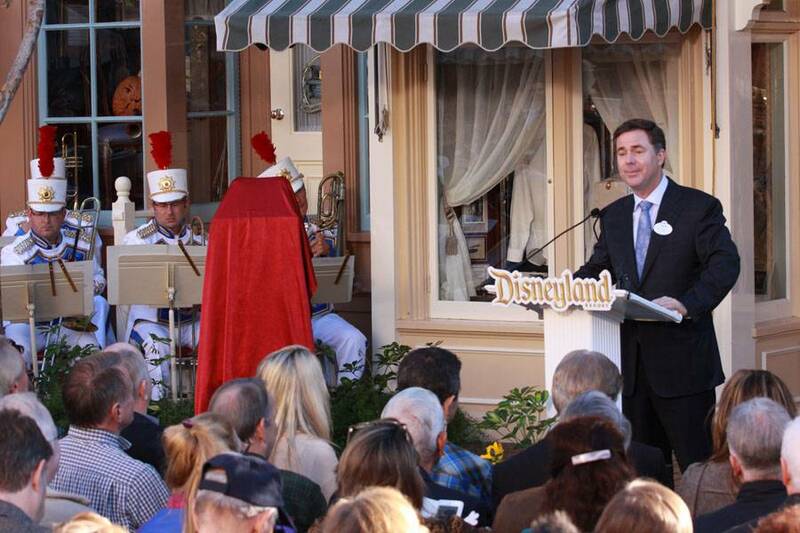 Clear skies and sunny, the celebration began with the Disneyland Band performing the main theme from Star Wars by John Williams. 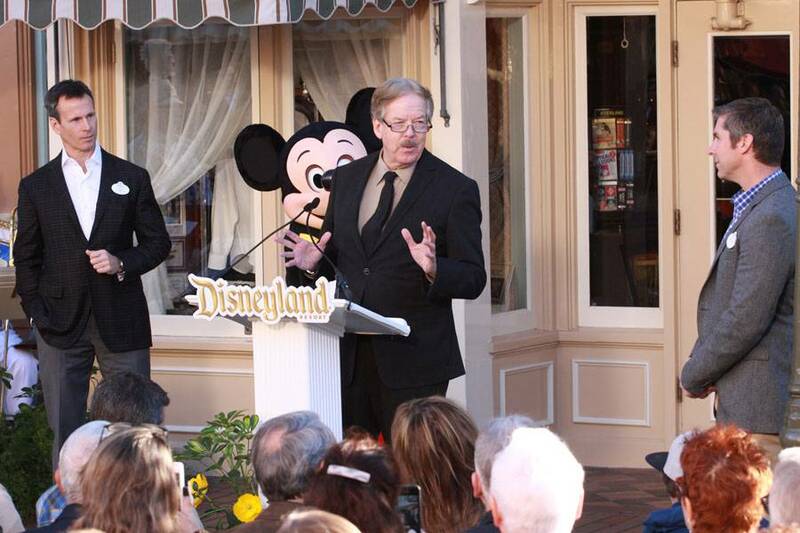 Truly fitting, as Tony helped shepherd in the Disney Company’s original involvement with Lucasfilm and George Lucas. 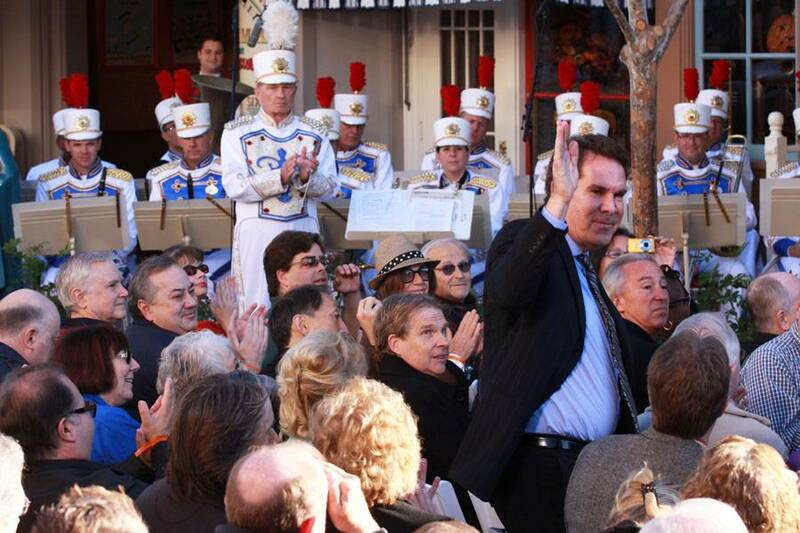 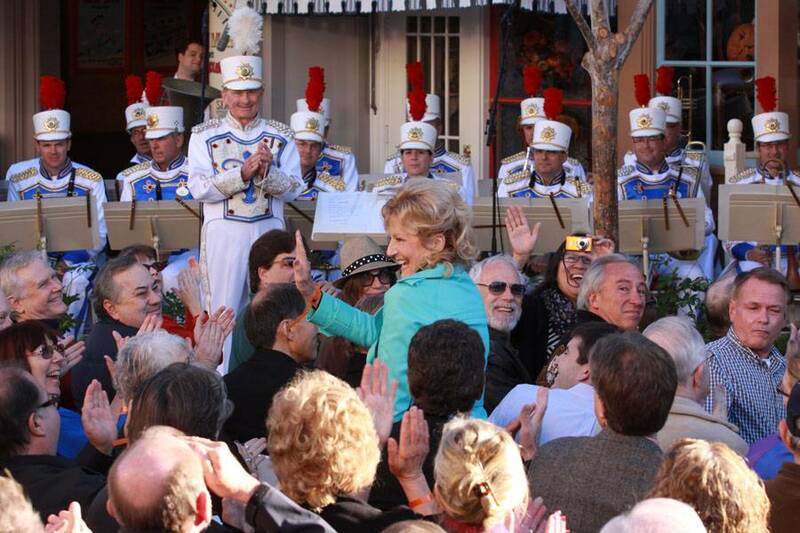 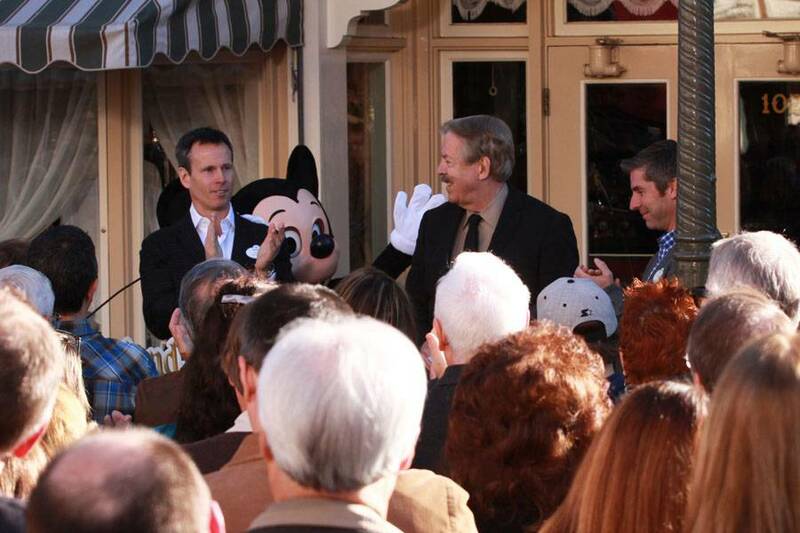 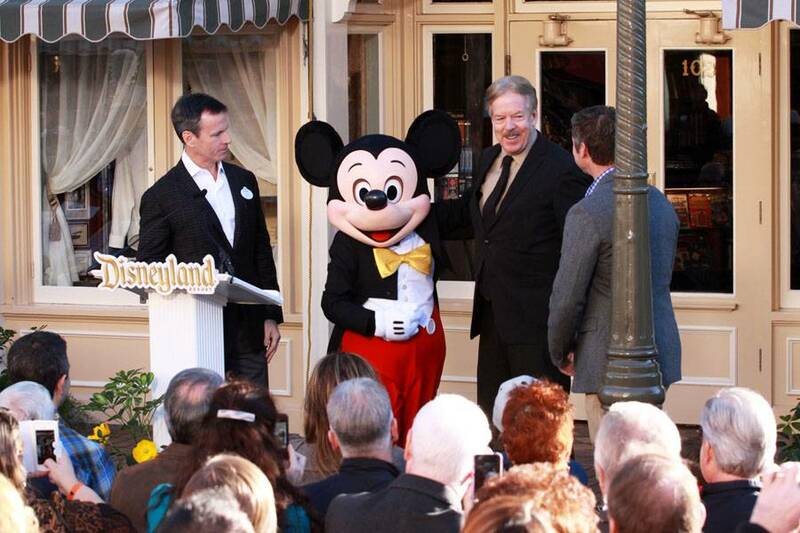 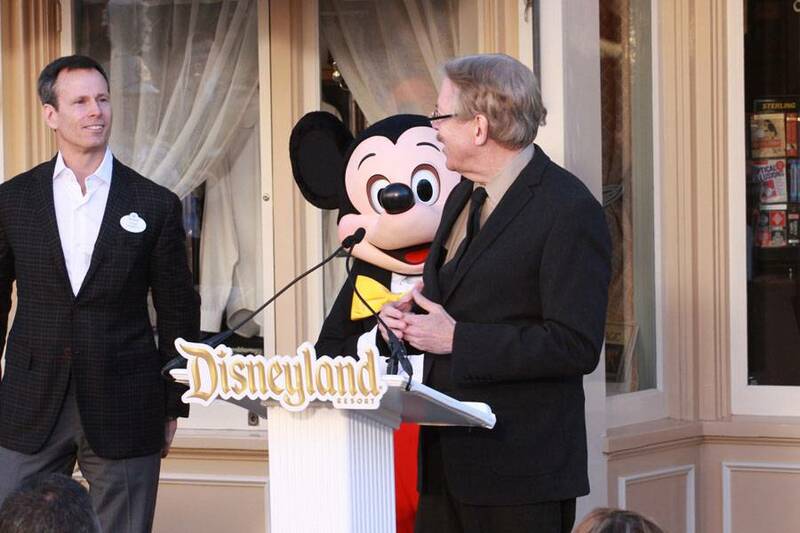 Tony Baxter was introduced to the ceremony at the Main Street Magic Shop on none other than Walt Disney’s car and Disneyland President Michael Colglazier kicked off the festivities to introduce many past window honorees including Tony Anselmo, Kathryn Beaumont, Orlando Ferrante, Bob Gurr, Jack Lindquist, Richard Sherman, Marty Sklar, and Dave Smith. 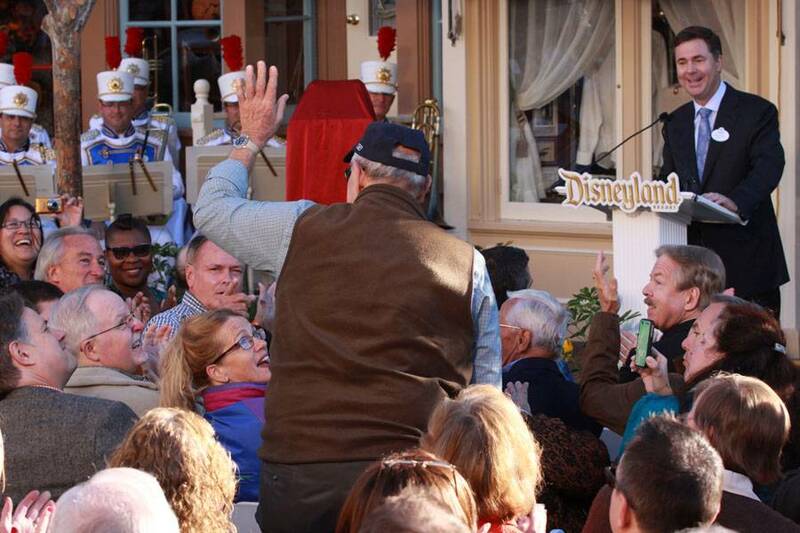 And with that, Tony received another standing ovation, and a very well deserved one. 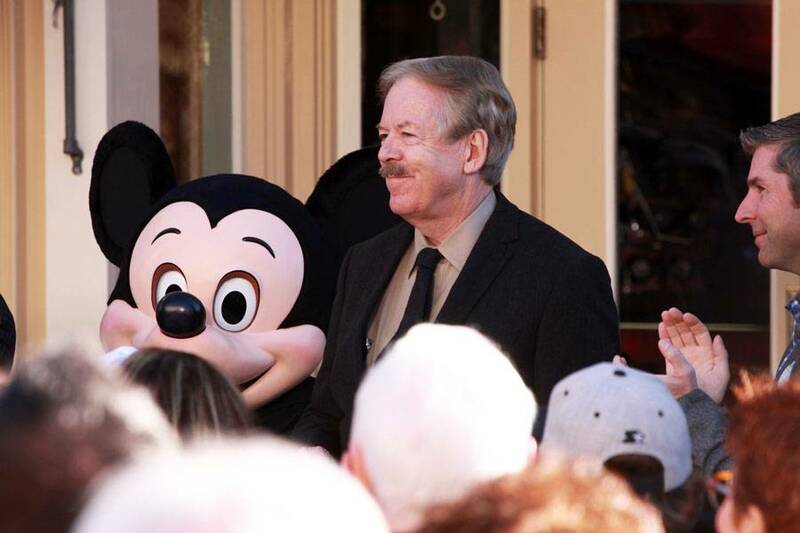 Congratulations to Tony Baxter for this amazing honor, and thank you for creating the many marvels that the world will enjoy for decades to come. 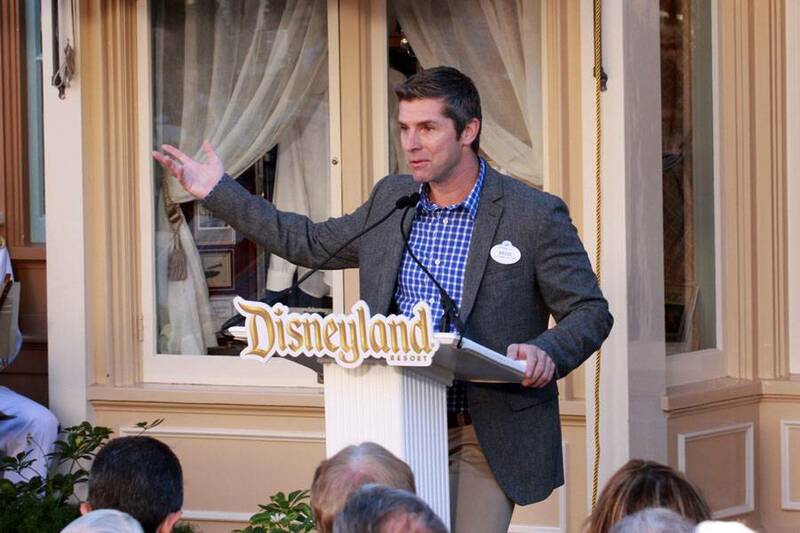 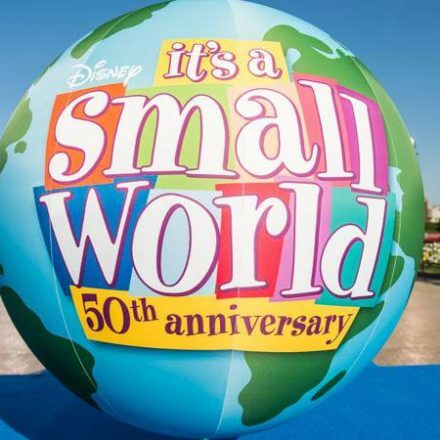 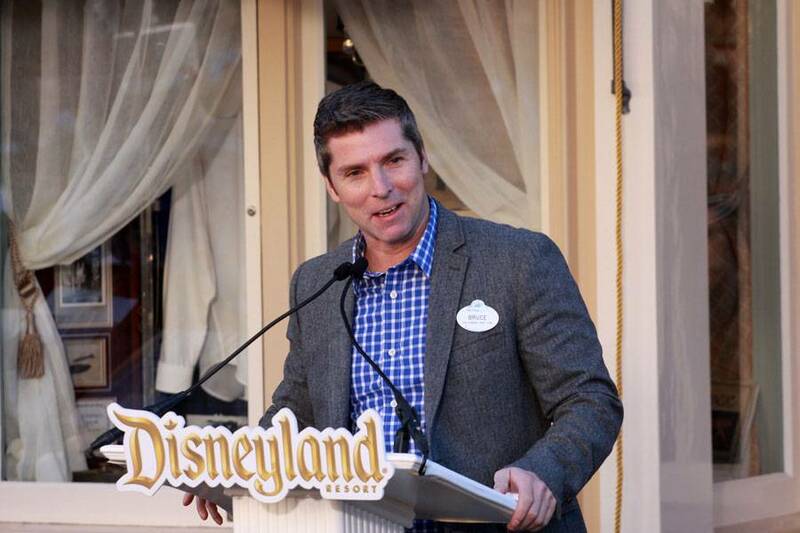 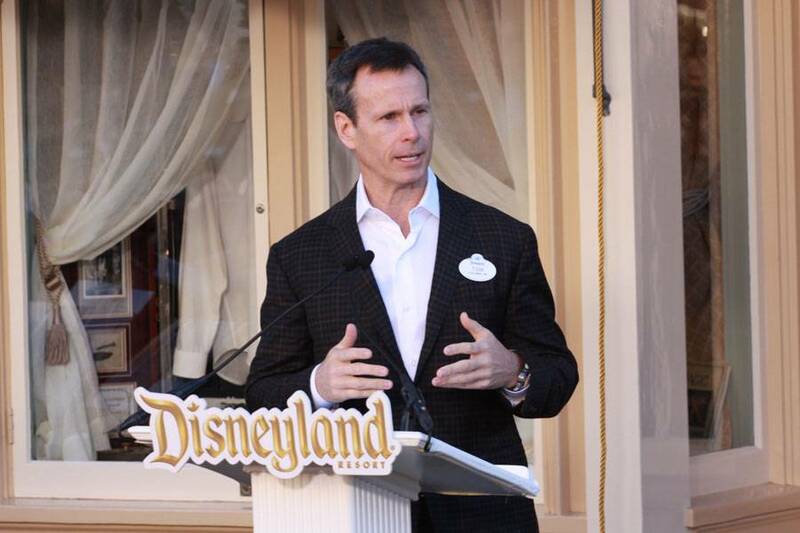 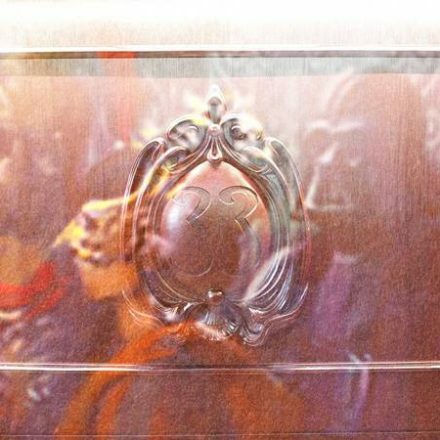 “As Imagineers, we believe that happy people make the world a better place and you have certainly made a lot of people very happy throughout your career. 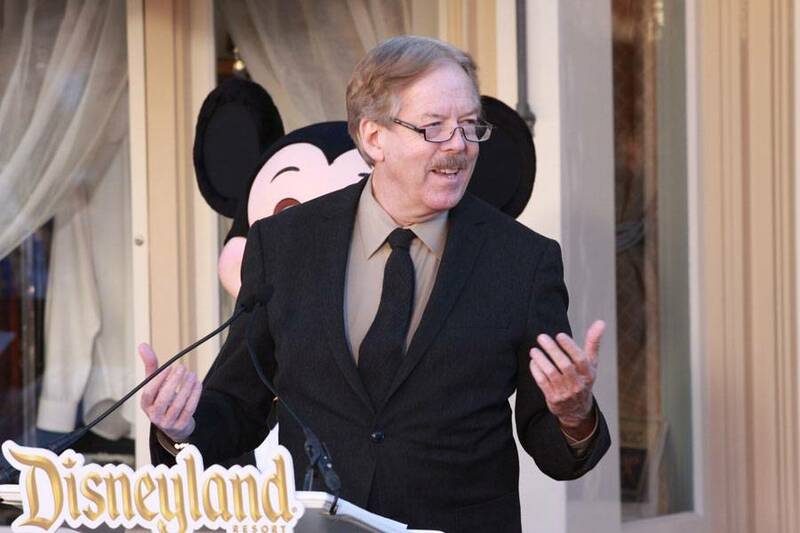 And so for all you have done and all that you will continue to do, and for your mentorship, we just want to say ‘Thank You’.” -Bruce Vaughn.